In 2008, right around Twilight’s first theatrical release, it seemed that most people I knew were extolling the virtues of reading young adult fiction as actual adults. I always sort of winced at the notion. There are so many wonderful works of adult fiction already in existence, ready to expand minds — and what about the kids who think that stuff like The Hunger Games or The Diary of a Wimpy Kid is a bit too pedestrian? Well, they might cozy up to this list: a handful of works meant for adults but suitable for the more voracious youthful readers too. Saunders initially intended to write this novella for a younger audience, which still shows in the often sing-songy, simple prose. The characters are playful and imaginative, each a strange, unique patchwork of abstract shapes with some human-like functions. For example, one character looks akin to a belt-buckle affixed to a can of tuna, but can still speak and move about. The book is also peppered with intricate black and white drawings of the characters and their homeland. Tecumseh Sparrow Spivet, the aforementioned genius, receives a surprising call from the Smithsonian Institute informing the boy that he’s won a prestigious award for his excellence in mapmaking. Turns out his mother’s colleague had been surreptitiously submitting T.S.’s complex diagrams to the institute for some time — designs which include a map of his sister shucking corn and one that tracked family dinner conversations. (These maps, by the way, are included in the book’s margins as beautiful pencil drawings by Larsen.) T.S., who had always felt isolated from his family, decides to hop freight trains from Divide, Montana to Washington, D.C. in order to receive the award. It’s one hell of an adventure. Parable of the Sower is the first of a two-book series set in a near-future dystopic America. Butler wrote both between 1994 and 1999, with Sower being the first. It's set in 2024 and is narrated by a 15-year-old girl living near Los Angeles named Lauren Olamina. Lauren is endowed with “hyperempathy,” a rare quality in which she’s able to share the physical pain of others by feeling it quite literally in her own body. As Los Angeles and America crumble around her, Lauren slowly establishes her own new, essentially humanist religion called Earthseed. She builds a small following and leads them all north to Oregon for safety. The novel engages deeply with what it means to be truly empathetic, something essential to understand early on. Toole, who took his own life at the age of 31, wrote this when he was 16. It’s his only work outside of the Pulitzer Prize-winning A Confederacy of Dunces. While a novel written by a teenager doesn’t automatically make an appropriate read for kids, The Neon Bible certainly is worthy of a younger audience. The narrator, an adolescent named David, moves through 10 different childhood memories, each dealing with a particularly weighty social theme, like racism or sexism. While these themes are indeed complex, the story is told with the sort of undigested rage that a 16-year-old might be experiencing on the way to understanding that life is itself complex and ever changing. In this novella of sorts, Bender takes her trademark magical realism and blends it with fairy-tale-like touches to create an allegory in which a swan and bluebird’s love story is derailed by a cackling queen. The winged pair produce a speckled egg that inexplicably rises to the clouds before hatching. A trio of elevators mysteriously appear in the town’s forest, and the two birds spend a good portion of the book figuring out how to use them to reunite with their child, now amongst the clouds. It always seems that lists like these include works concerned with animals. Call of the Wild, The Red Pony and Animal Farm are all “adult” novels that kids go for. I’m sure there are more scientific reasons as to why that is, but it seems like human-animal relationships are often easier to initially grasp than the complex human-to-human relationships that classic novels tend to explore. All the Pretty Horses doesn’t feature talking or thinking animals like some of the aforementioned titles, but the relationship between John Grady Cole and his horse seems to be the deep sort of bond young readers can easily grasp. Of course, since it’s a McCarthy novel, there’s plenty of violence, but it’s never gratuitous or overly dark. Diaz’s second book made a huge splash with the literati in 2007, nabbing the National Book Critics Circle Award and the Pulitzer Prize. But the story is also suitable for kids as it follows Oscar Wao, a pudgy, geeky sci-fi and fantasy-obsessed teenager, through his awkward years. Oscar fails in many relatable venues, especially with girls: After the girl for whom he pines is reunited with her ex, Oscar begins to withdraw from his social circles, pouring his energy into penning fictional doomsday tales. The narrator, Yunior, a college friend of Oscar’s, is a recurring character in Diaz’s work and shares some of Oscar’s nerdier qualities. To be sure, the story here belongs to Oscar, but with Yunior’s viewpoint occasionally poking through, Diaz gets at the heart of what it means to struggle to find a place in the world when you’re on the fringes of teenage society. This is one of Calvino’s more conventional works, the second in a three-part fantasy series. Still, it's no less beautiful than his challenging stuff, like If on a Winter’s Night a Traveller or Invisible Cities. The Baron is the story of a 12-year-old kid who has had it with his family and climbs up into a tree after a particularly contentious dinner, during which he refused to eat a plate of snails his seemingly evil sister had whipped up. That kid, Cosimo, lives out his life in the tree, refusing the aristocratic lifestyle already planned for him. Calvino nails the spirit of an adolescent who has just learned what it means to rebel and how exhilarating going against the grain can be. 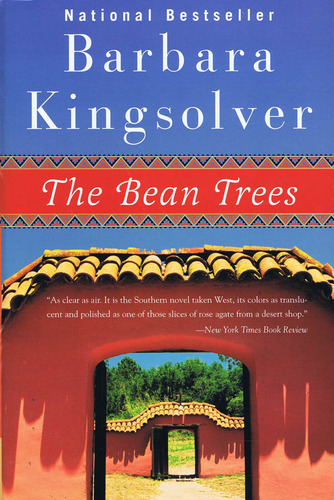 Kingsolver’s first novel certainly isn’t the easiest of reads, as it contains themes some might consider a little dark for kids, like sexual abuse and suicide attempts, but it’s all handled delicately, in a way that never makes life seem too bleak. At the heart of The Bean Trees is a story about family and how bloodlines don’t always determine the mark of a good home. It's a potentially educational and inspiring read for children coming up through non-traditional, perhaps more complex familial structures. Mostly, this book makes the list for its readability and compact narrative. It remains focused on one Japanese-American family during internment in World War II and is told in three sections spanning several years. The second section is perhaps the most stunning, told through the eyes of an 11-year-old girl as she, her mother and her 8-year-old brother ride a train to Utah, where they are holed up for several months. Otsuka handles this kid-centric section with aplomb, accurately portraying an 11-year-old’s confusion and naiveté as she tries to make sense of what’s transpiring. Surely, some of these titles containing heavier themes might make parents uneasy, but for the more advanced readers, it’s never a bad idea to test the waters of adult fiction. Most kids won’t immediately grasp these text’s deeper meanings, but then again, neither would a lot of adults. If you have any suggestions for adult novels suitable for kids that we missed on the list above, tell us all about it in the comments below! Jake Goldman is a writer and adjunct professor. He lives in New Haven, Connecticut. More of his work can be found at Goo Goo Doll Stories and Jake Goldman Will Throw You into a Volcano. Can You Identify the Alternate Covers for These Well Known Books? FOLLOW BLACK BALLOON PUBLISHING ON TWITTER.